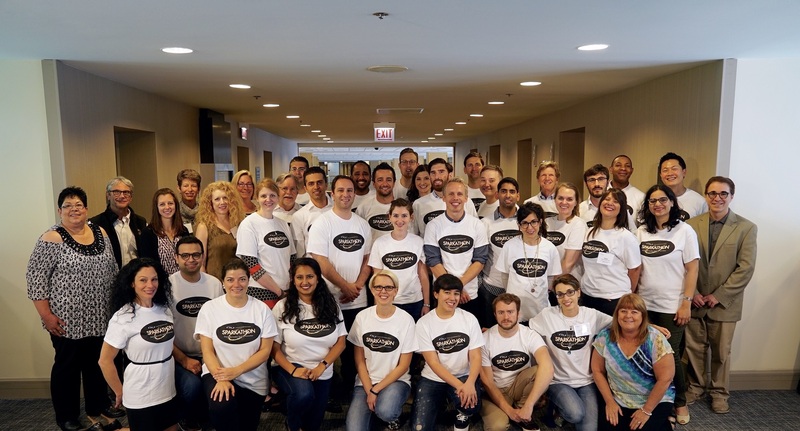 The Society for Immunotherapy of Cancer (SITC) is delighted to announce its SITC Sparkathon Program has funded two projects through awards totaling $175,000. During the next year, the 2017 SITC Sparkathon Cohort will work to implement their projects, which aim to tackle major hurdles facing the cancer immunotherapy field. Details of each project and their team members are described below. The TimIOs project aims to address the critical need to understand tumor heterogeneity. Leading experts in the field have highlighted the importance of identifying differences between patients with complete responses and patients who have progressive disease in spite of treatment. Click here to read the full Team TimIOs Executive Summary and view the team roster. The METIOR Incubator project will implement their Mentoring for Early Translational Immuno-Oncology Researchers (METIOR) Incubator as a new educational paradigm. Collaboration across disciplines, such as basic life sciences, medical oncology, and industry, has facilitated the recent explosion in the use of immunotherapies for the treatment of cancer. However, scientists and clinicians train separately, and often emerge without a common language, hindering ease of collaboration. Click here to read the full Executive Summary for The METIOR Incubator and view the team roster.